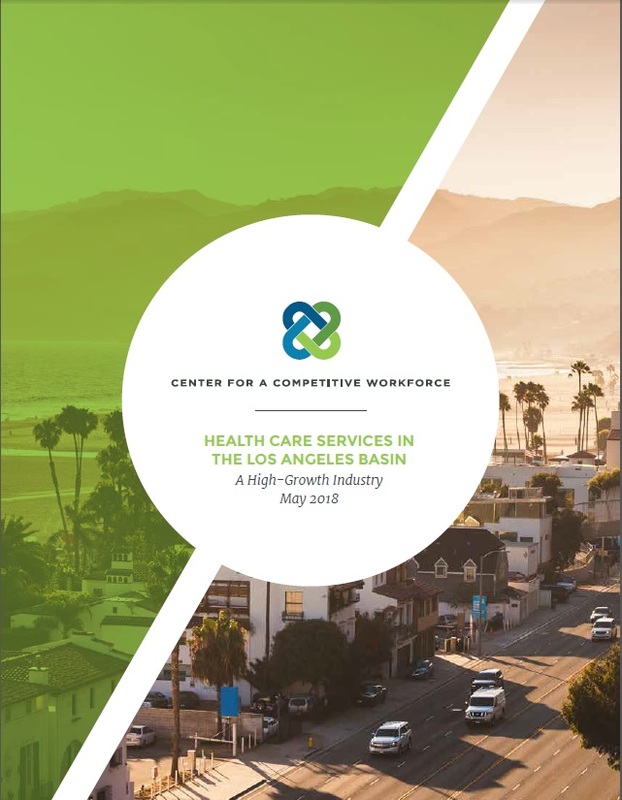 LOS ANGELES, CA (May 24, 2018) – In a continuing series of industry deep-dive reports, the Center for a Competitive Workforce today released Health Care Services in the Los Angeles Basin, which forecasts job opportunities, analyzes changing skills requirements, and illuminates career education pathways for the local-serving health care industry in the greater LA Basin. The report, accompanied by a 12-page overview, was funded by the Strong Workforce Program, an initiative of the California Community Colleges Chancellor’s Office. It is recommended that readers view the report on the CCW website for dynamic graphic presentation and extra content, and the report is also available below as a redundant access point, in simple pdf format. See how colleges are performing as they prepare grads for well-paying jobs in healthcare in LA County and in Orange County. This third report from the Center is designed to help training providers such as the community college system align programs with demand from local industry, help employers identify and engage with those talent pipelines, and help students learn about the middle-skill occupations that present career opportunities. The report includes an analysis of 15 middle-skill occupations for which community colleges offer degree and/or certificate programs, and presents granular data on wages, job openings, educational requirements, and demographics of those in-demand occupations. The report also presents data on the supply of talent coming through the community colleges and workforce development boards in the region. 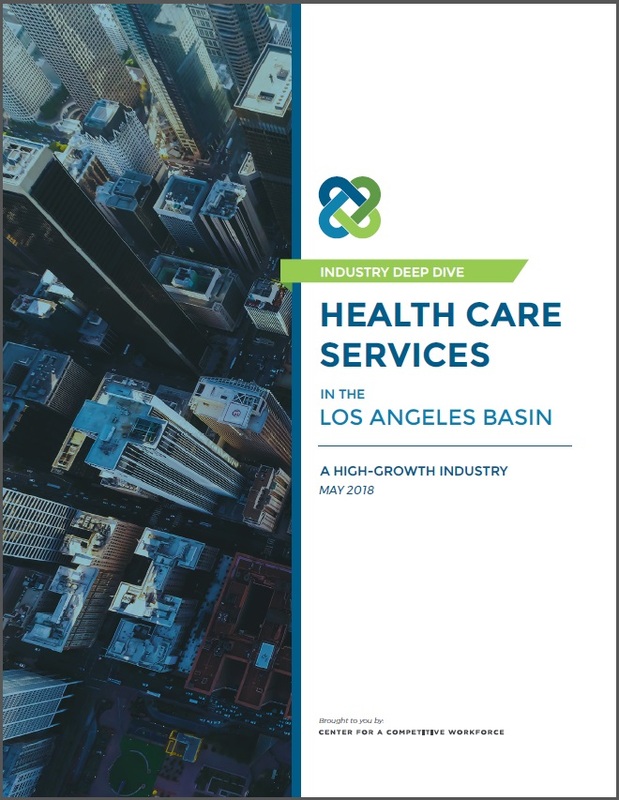 “Health care is a high-growth industry that offers significant employment opportunities for middle-skill workers” said Shannon Sedgwick, LAEDC senior economist and report co-author. “Our jobs forecast provides industry intelligence our community colleges need to ensure their talent supply can meet the industry’s demand for middle skill workers.” The LAEDC is already beginning research for the next CCW report, on the professional services industry. The report provides industry data for the LA Basin, defined as the combined total of Los Angeles and Orange Counties. 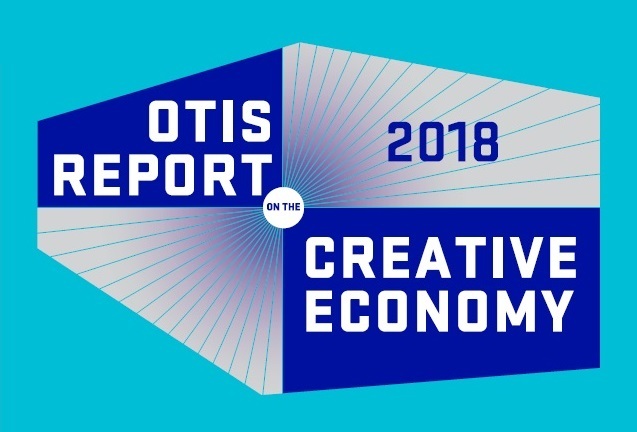 In addition, the report aggregates the supply-side talent data from three of the region’s Workforce Development Boards, and the 28 community colleges in the LA|OC Regional Consortium of community colleges, a consortium which includes much of the Los Angeles County and Orange County region.